A Brownsville man accused of sexually assaulting a minor appeared incredulous at the charge Monday morning while being arraigned at the Brownsville Police Department. Luis Hull Jr., 52, is charged with aggravated sexual assault of a minor, manufacture and delivery of crack cocaine, evading arrest and possession of marijuana in a drug free zone. Hull received a $1,010,000 combined bond on the charges. Brownsville Police Department Spokesman Eddie Garcia said authorities obtained the warrant for aggravated sexual assault of a minor after a minor made an outcry. 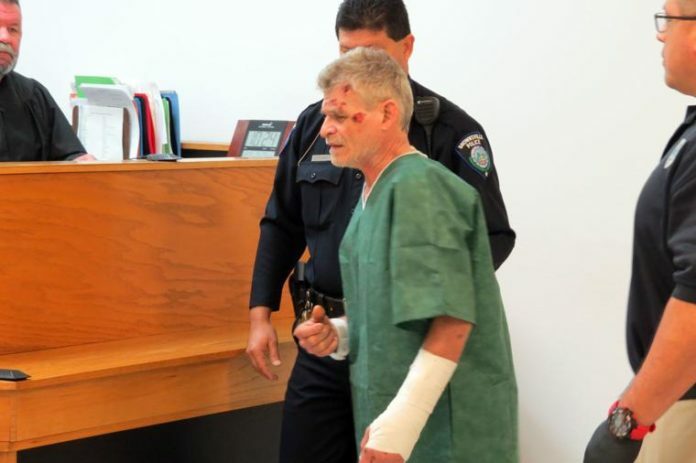 The Brownsville Police Department arrested Hull last Thursday on the 2000 block of 12th Street at approximately 8:40 a.m. after a roughly two-hour standoff where Hull escaped to a nearby roof after the SWAT team raided the residence he was staying at. The stand-off ended when police used a taser on Hull, who fell after being shocked. He did not fall off the roof. Garcia said Hull was transported to the hospital after complaining on injuries. Garcia said investigators are still working to determine whether Hull was injured before or after he was taken into custody. “It’s still an ongoing investigation. Investigators have other information that has been received and we’re continuing to follow up,” Garcia said.